Long, Healthy Hair - My Tips And Tricks | La Petite Noob | A Toronto-Based Fashion and Lifestyle Blog. Some of the most frequent questions that I get asked are about my hair: if it's real, how do I keep it so long, and how it can grow while still being bleached (I have a hybrid ombré/balayage colouring.) Yes, my hair is 100% real and though it is long and healthy now, that wasn't always the case. Bleaching, hair weave - you name it, I've done it and my poor locks have suffered the consequences. I've decided to resurrect one of my first blog posts detailing all of the tips and tricks that I discovered on how to grow long hair fast, all while keeping it healthy. First off, a little bit of history: I used to be a blond. Not just any blond but a platinum, bleached-to-the-max super blond, that was so far off of my natural colour that I would have to go for root touch-ups every three weeks. While fun, the entire process left my hair completely fried - I couldn't even touch my hair without leaving a trail of hair breakage behind. To make matters worse, because my hair was breaking so much at the ends, resulting in my hair getting shorter and shorter by the month - I also neglected regular hair cuts. By the time I coloured my hair back to a more natural brunette, it was so damaged and short that it seemed almost impossible to grow out long. However, once I started really taking care of my hair, and investing in quality products, it started to grow at lightening speed! Here's what I did to nurture my hair back to health, and get it to finally start growing. I'll admit it, I was the biggest sceptic about the concept of cutting your hair to promote growth - I honestly thought that it was a ploy for hairstylists to keep a steady business. That being said, once I went to a professional stylist and cut off all of my damaged ends, and returned back every 8 weeks for a minor trim, my hair really took off. I couldn't believe that something as simple as trimming your hair regularly could promote the growth I was seeing, but looking back now it makes sense . 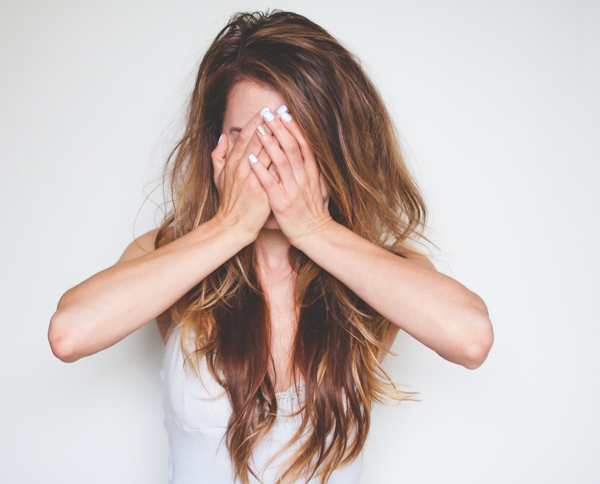 Think about your fingernails - when one chips or breaks, you cut off or file the damage to appear more polished and help the nail grow back (a damaged nail can catch and snag on objects to create more damage.) The same principal goes for your hair. Leaving colour to the professionals is a non-negotiable if you're going lighter in colour, but also necessary if you're going darker and want to maintain healthy hair. I really fought this one for a long time, not seeing the point as I was maintaining a darker hair shade. My feelings changed as soon as I started getting my hair professionally coloured, and noticed an immediate difference in the softness and shine of my hair. I really don't want to knock at-home hair colour, since it is definitely the cost-friendly option of the two, but if you're wanting to grow your hair or work on it's overall health then leave it to the professionals. This daily conditioner has been instrumental in keeping my hair moisturised and preventing any further damage. Honestly, as soon as I started using this conditioner, I noticed instant results in my hair's texture and really started to notice hair growth. The Terax Crema conditioner is extremely rich and creamy, so a little really goes a long way. I use it every time that I wash my hair, making sure to squeeze as much water from my hair as I can before applying it and then leaving it in for about 5 minutes before rinsing out. I also use this same conditioner as a hair mask about once a month, leaving it in for 15 minutes before rinsing out. For someone who is really wanting to improve the overall health and condition of their hair, the Terax Crema daily conditioner is worth the investment. With the cult following that this product has, it needs no introduction; I can tell you, though, that it definitely lives up to its hype. I apply a dime size amount of this nourishing hair oil to the ends of my damp hair every time it is washed. Not only does it protect and moisturise your hair, it also drastically reduces your hair's drying time (a huge bonus for my long hair.) I'll even use a tiny amount of the Moroccan Oil on the ends of my hair if I haven't washed it that day, to help prevent any breakage. As with the Terax conditioner, a little of this miracle oil goes a long way, so this is a product that will last. This leave in conditioner is great for combing through stubborn tangles. I apply a few spritzes on just washed hair, after my Moroccan Oil, to help a wide tooth comb glide through my hair with ease - helping to reduce any breakage as a result from tangles. I also just really love the scent of this product, like a delicious vanilla milkshake - yum! Great tips! 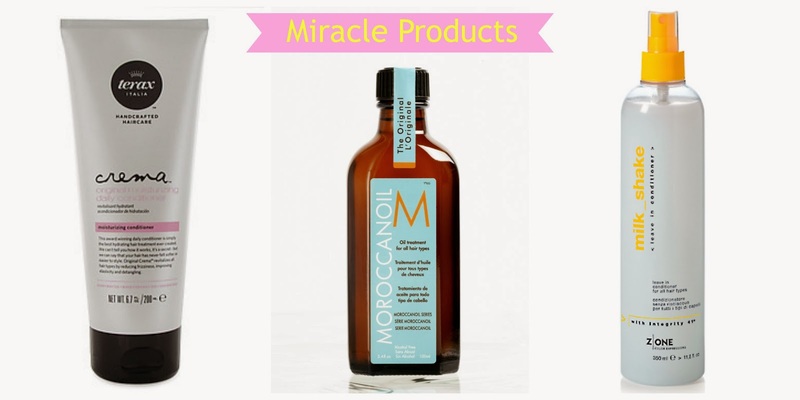 I'm a huge fan of the Morroccan Oil too, it makes my hair so shiny and soft! Isn't it the best? I forgot to take it with me on my recent travels and could so tell a difference in my hair! LOL! I've been getting that question forever, however with good reason, seeing as how I did have extensions for a couple of years. I still told people that it was my hair, even with the weave. I mean, I purchased it right? It was mine! You're welcome Meghan! Isn't Moroccan Oil amazing? I recently forgot to bring it on a trip, and really noticed the difference in my hair. Your hair is so gorgeous, do you have a stylist & colourist you recommend in Toronto?? Thank you Britt! I go to Krysten-Ashley at Qi Salon (in the King Edward Hotel.) She's fantastic! They say that your hair is the reflection of your personality. And so, it is very important to treat them with the best possible ways or products.